Glamorous Cosmetics began in 2005, formulating products in Athens, Greece, expanding throughout Eastern Europe and Balkans and are now offering these revolutionary European creations within the United States. The collection has three different lines which include Glamorous, G by Glamorous and Supreme, each providing a unique color spectrum. All of our makeup is produced in-house in accordance to the highest standards and regulations of the European Cosmetics Directive and is animal friendly. With over one hundred nail polishes, amazingly pigmented and moisturizing lip wear, eye enhancing shadows and much more, the Glamorous experience is forever changing. Immerse your skin in the natural minerals of the earth and reveal the Greek goddess within. The 5 color eye shadow ($10.85) is perfect for a night out on the town. If your going out to a club, or just out to dinner, this eyeshadow pallete is perfect. Each set has 2 beautiful color schemes linked by a catalyst color. I liked how small and compact this set is. Easy to just throw in my purse for a quick touch up later, I really like how the colors blend with each other. the pink and purple which is usually colors I don't touch, blend to make an amazing color, and with a little white blended in, it came together to create the perfect look. Glamorous Cosmetics is a fun exciting makeup line that is not only reasonably priced, but the quality is A +. Not only can you find the above products, but they also carry a large selection of nail polishes, lipsticks & summer sets. 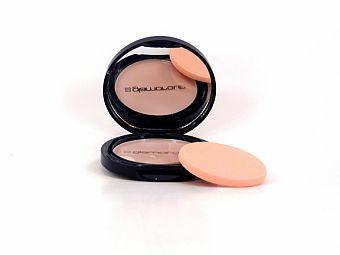 To purchase any of the above items, visit Glamorous Cosmetics, or you can find them on Facebook, Twitter or Myspace. i am definitely going to try some of that eyeshadow! i love your blog! its so cute! i am now following you. feel free to check out my blog. i dont have a whole lot yet though because im just getting started.